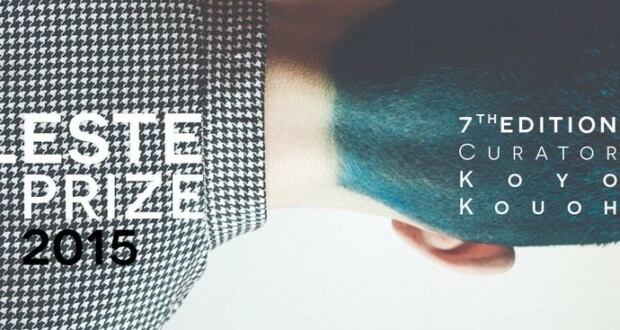 We are pleased to announce this year's five winners of the 7th Edition of Celeste Prize 2015, international contemporary art prize that rewards every year 20.000 the emerging artists. Works and projects were voted by 43 Senior artists in a crowded exhibition Saturday, 14 November, in Milan, Italy, in the presence of Chief Curator Koyo Kouoh and the jury. We would like to thank the Chief Judge Koyo Kouoh and his colleagues of the jury, Jörg Bader, Eva Barois De Caevel, Lucrezia Cippitelli, Miguel Lopez, Nicola Müllerschön, Aida Muluneh, Tobias Ostrander, Rasha Salti, Gloria Sensi, Gaia Tedone and David Teh, for your time and patience working through all the papers presented, and to introduce ourselves as exciting and timely selection of works. Elaine Byrne, Wuttin Chansataboot, Mary-Jane Opie. Giovanni Bartolozzi, Gianfranco Basso, Veronica Gamboa, Erika Fabian, Katarzyna Ferworn-Horawa & Ewelina Mąkosa, Marieke Kruger, Alex Mark, Martin Robert Reed, Emanuele Sartori, Grace Tomassini. Judi Altman, Katerina Belkina, Andrea Cimatti, Teri Havens, Matthew Humphreys, Lumazen, Franz Murtas, Mary Stuart, Dear Williams, Masakazu Yamashiro. Eden Ofrat Auerbach, Younes Baba-Ali, Elena Bellantoni, Daniel Nicolae Djamo, Maurizio Falcone, Mauro Falsini, Nadia Hotait & Laila Hotait, Shira Klasmer, Borja Rodríguez Alonso, Vicki Thornton. Silvia Fiorentino, Luisa Giannì, Jörg Christoph Nice, Khvay Samnang, Jaewon Kim, Andreas Lutz, Zaib Ohene-Ayeh, Parvaneh Rahimi, Vandy Rattana, Paola Sommaruga. The exhibition of the finalists of Celeste Prize 2015 continues > 22 in November the Ex-Bazzi, via Gaetano Crespi 24, Milan, Italy. Open: every day from 3:00 pm to 7:00 pm.